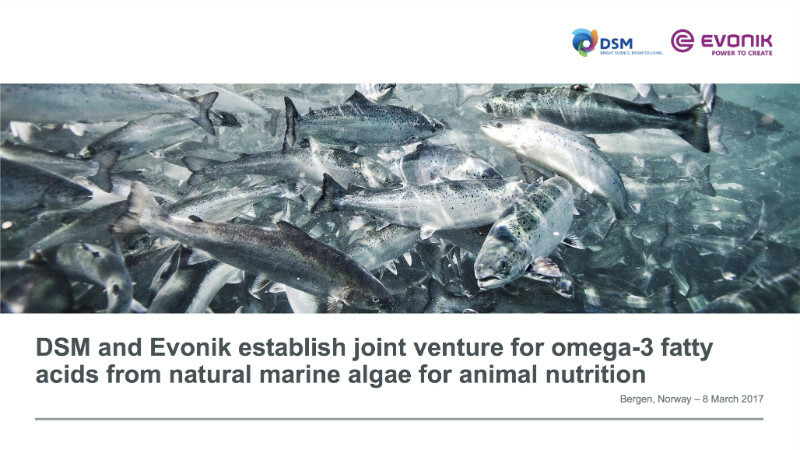 DSM and Evonik have given a name to their joint venture to produce omega-3 fatty acids EPA and DHA from natural marine algae for animal nutrition — something that’s been traditionally been made from wild-caught fish oil. They’re calling it Veramaris — and they’re cutting out the middlefish, more or less, as Cellana CEO Martin Sabarsky frequently describes the similar capability of his team’s technology. In another piece of news, the 50:50 joint venture — headquartered at the DSM Biotech Campus in Delft, Netherlands — has commenced construction of a $200 million production facility at the Evonik site in Blair, Nebraska. It’s DSM’s largest one-off investment in biobased production capacity since the building of the commercial-scale POET-DSM cellulosic ethanol plant in Emmetsburg, Iowa. The two partners released this illuminative overview of Veramaris’ promise and progress.